Celebrating Arts in Education Month! 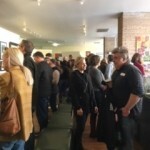 More than eighty community leaders, educators, students, and Youth in Arts supporters came out to celebrate Arts in Education Month at the YIA Gallery last Friday, March 8th. Youth in Arts and the Marin County Office of Education co-hosted the event, which was centered around introducing attendees to the 2018-2019 Marin Arts Education Plan. There was lots of positive feedback, and seemed to be buzz building around the movement in Marin to improve arts access for ALL learners. Visitors were also able to enjoy the wonderful artwork from our RISING STARS High School art exhibition, on view through March 29th. 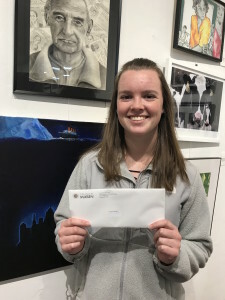 The “Best Of” show and category winners (drawing, mixed media, painting, photography, and sculpture), were also encouraged to attend the event to receive another amazing prize to commemorate their accomplishment. College of Marin kindly awarded each of the 6 students a full semester scholarship! The lovely Lauren Smart was on hand to receive her award letter, and was photographed alongside her beautiful charcoal, pen and graphite drawing of her grandfather, entitled Evolution of Life. Lauren, a senior at Redwood High School, plans to attend San Jose State in the fall, and is excited to take some summer art classes at College of Marin. Thank you College of Marin for supporting our young artists! 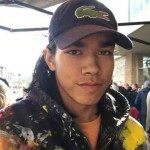 Marty Meade, has been a Youth in Arts Mentor Artist for well over 20 years. Through our Arts Unite Us program, Marty has worked with students at Compass Academy (formerly Braun High School), an alternative elementary/middle/high school for students who experience underlying mental health challenges. 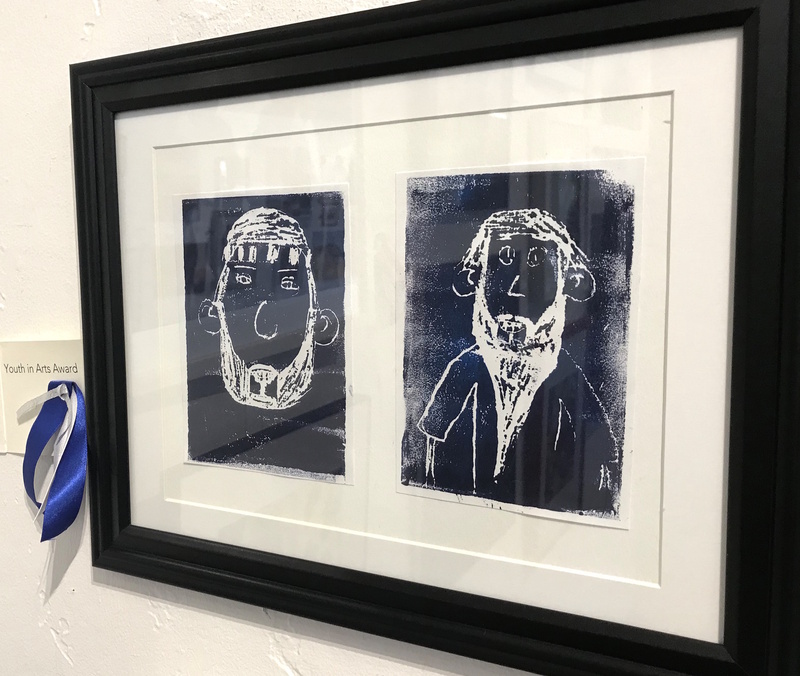 She teaches students how to create artwork in a variety of media including, but not limited to painting, drawing, printmaking, and even glass making! The stories she shares in conjunction with the caliber of work her students produce continues to astound. Thank you, Marty for all you do! Celebrating RISING STARS 28th Year! 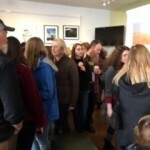 Nearly 300 people attended the Artists’ Awards Reception for RISING STARS, which drew student artists, their parents, grandparents, friends and teachers who braved the rain to see Marin County’s top high school art work on display. The 28th annual high school exhibition at the YIA Gallery, on view through March 29, features nearly 150 paintings, photographs, drawings, sculptures and mixed media works. 16 public, private and alternative high schools are included in the show. 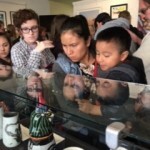 San Rafael High School student Amelie Benicio, 16, won the Best of Show prize. Benicio and Redwood High School student Nick Cook, who won the top prize in the mixed media division, were featured this week in a Marin IJ article. The exhibit was blindy judged by a panel that included artists Lynn Sondag, Kay Carlson, Jason Dunn and Jay Daniel, owner of Black Cat Studio. Nick Cook, 18, won for a mixed media piece called “Human Circus.” Art materials he used included markers, stickers and paint pens. 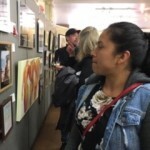 Cook is one of five artists who won San Francisco Beautiful’s 2019 Muni art contest. His art is now featured on several Muni buses. Speaking about his piece in RISING STARS, Cook said the work deals with the issue of identity and how people choose to reveal their personalities. “People just aren’ that comfortable expressing themselves,” he said. 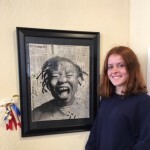 Cook studies AP Art at Redwood High School with teacher Lauren Bartone and hopes to attend Parsons School of Design.